Click any name to see their full review or click this link to read 50+ more reviews! My child is 11, and he had no trouble following this book at all. The book has thorough, step-by-step explanations. I didn’t have to answer even one technical problem. I didn’t even have to help him get started. He’s excited about doing it. He’s consistently working through it on his own and I’m not having to tell him to do it. I’m going to start the book myself after he finishes with it. When my youngest first saw the book, his eyes lit up, and he nabbed it out of Dad’s hands and took off with it to the school room... Within an hour, he had already finished the first chapter. When I told him I needed the book back to look at it, he asked, "We get to keep this book, right?" My son took the book, and I just caught glimpses of it after that! He took it on road trips, to grandma's, TO CHURCH! He took it to bed, and would fall asleep reading it. He would then make a bee line to his laptop to try out what he'd just learned about in the book. Forget me. Forget dad. My son did this all on his own! Overall, my son LOVES this and thinks everyone under the sun should have a copy. I found it very helpful, and parent friendly. He has learned a lot, and really likes working on the assignments...the writing style is so fun, and easy to read. My son, who is 13, takes his coding very seriously. He said [Code for Teens] was by far the best coding book he has ever seen. The author is very encouraging and thorough with his teaching. When I read through the lesson I felt as if he was actually here with us teaching it, that is how well he explains it. [T]his book is hilarious... it "talks" in a very teen friendly language with witty comments and cheesy jokes placed throughout the lessons. It reads like a cool, nerdy comic book. I want to give a shout out to his wife, Christine Moritz, whose colorful and engaging book illustrations make the book a pleasure to read through. 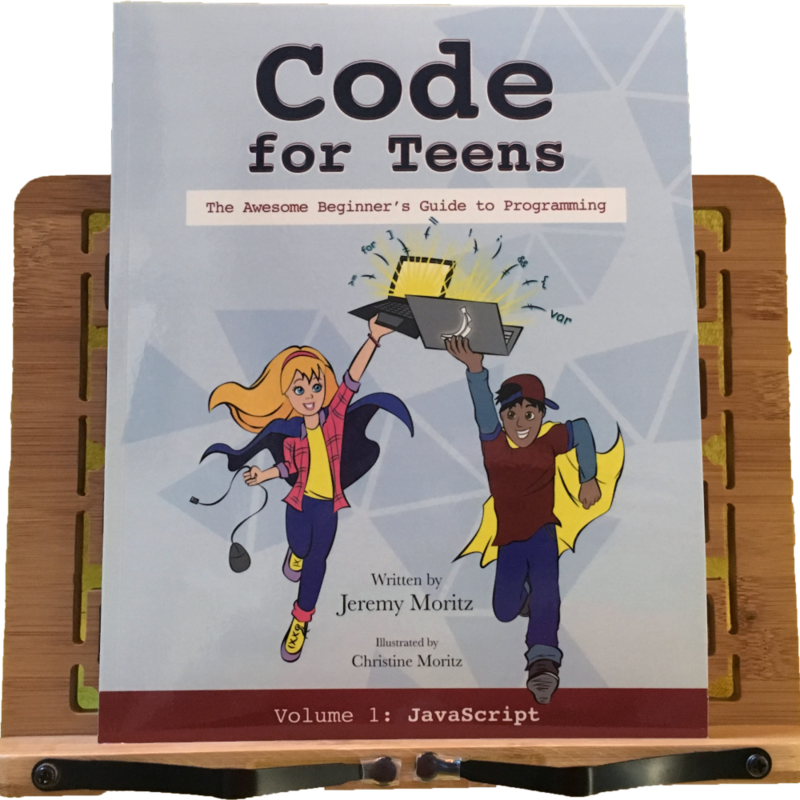 We have been so impressed with Code For Teens that I know we will acquire all additional volumes as they come out. Let me tell ya, the course is so easy to follow along and understand that even I was able to learn! I always say that I am technologically challenged so this is kind of a big deal. The book is very colorful, and full of adorable illustrations. I absolutely LOVE that!...My final thoughts are basically that I love everything about this curriculum. This book is fantastically written (along with hilarious and entertaining) and we can’t wait to dive deeper into future volumes. This book quickly became one of her greatest possessions and my new greatest parenting tool. Seriously, the new phrase in my parenting arsenal is, "No coding until _____ is done." I have to say I absolutely love the illustrations. This book teaches in a way that I could actually understand, with easy to follow examples, drills and DIY's. So meaningless to say, I PHYSICALLY CAN'T WAIT UNTIL THE NEXT BOOK!!!!!! Software engineering is among the fastest-growing career paths in existence today. Like many parents, you may desire for your children or teenagers to learn these valuable skills, but you probably lack the knowledge, time, and patience required to teach them. Almost all of the books and courses on the subject of coding–even those directed at children–move at a pace that is much too fast for the average teen or child to follow without additional guidance, explanation, and review from a knowledgeable teacher. 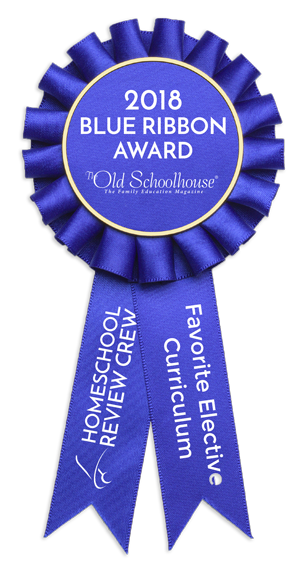 I know this to be true as I have sifted through dozens of books, courses, online tutorials, pdfs, and reviews in my efforts to teach my family of 6 homeschooled children how to code. I never found any educational materials (until now) that moved continually at a child’s pace the way one would expect from, say, a math textbook. 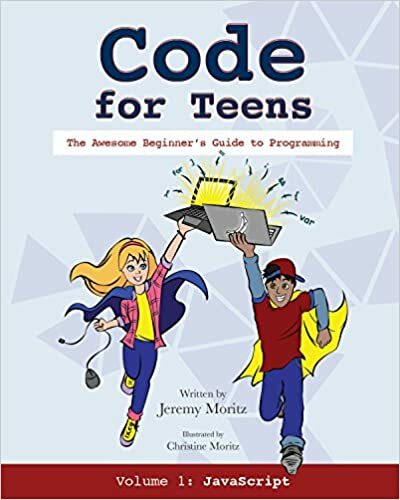 Code for Teens is fully illustrated with over 100 pictures–all original artwork by my exceptionally talented wife Christine! High quality, full-color, glossy pages. 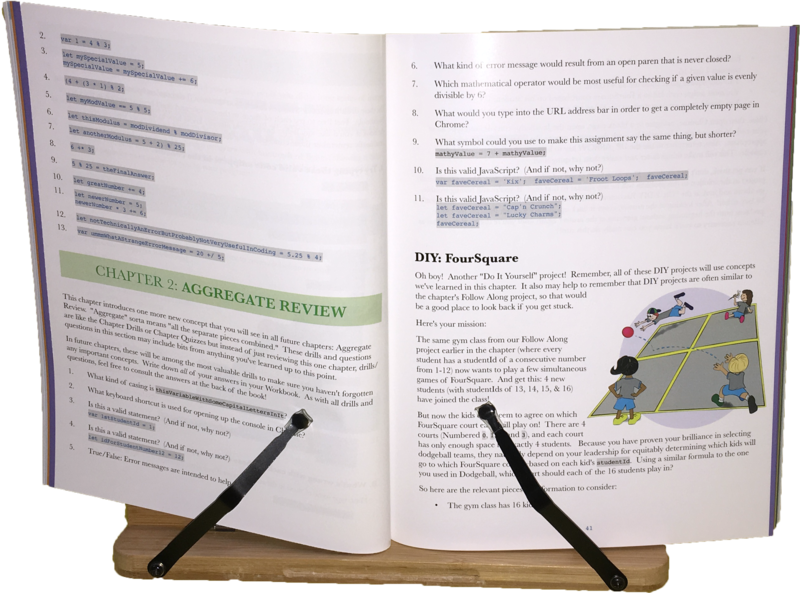 Quizzes, Key Concepts, Drills, Aggregate Review, and more! Humorous writing with code samples and hands-on projects. ALL answers to every question and project in the back of the book. Be sure to check out our new CODE FOR TEENS FORUM to ask any questions or discuss Code for Teens with the author or other members of the growing Code for Teens community! Here are a few of the important considerations to help you see why this book is well designed for your child or teenager. Q. How does this book deal with the fact that teens don't all learn at the same pace? 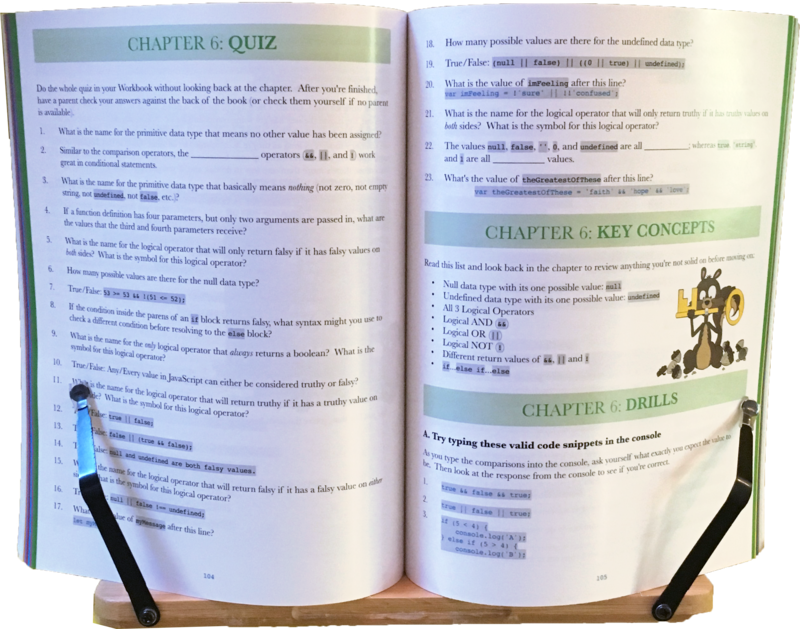 A. I have multiple drills, quiz questions, key points, and review sections that ensure that each reader can move at his/her own pace. 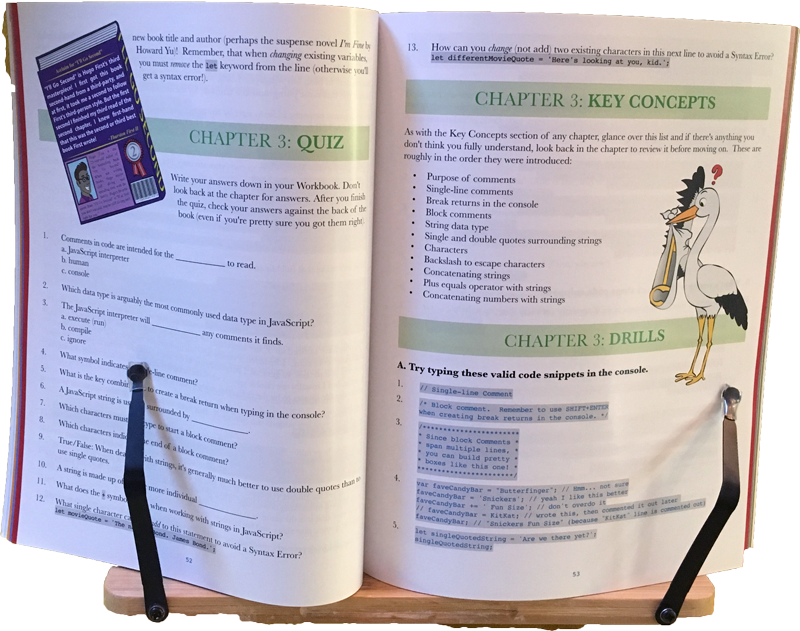 In fact, every chapter contains an aggregate review section that reviews the major concepts from every previous chapter! Q. Is this book illustrated and in color? A. Yes! More than 100 full-color original illustrations throughout the book! All of this is original artwork by my beautiful and enormously talented wife Christine! Q. What if kids have trouble retaining what they learned? A. 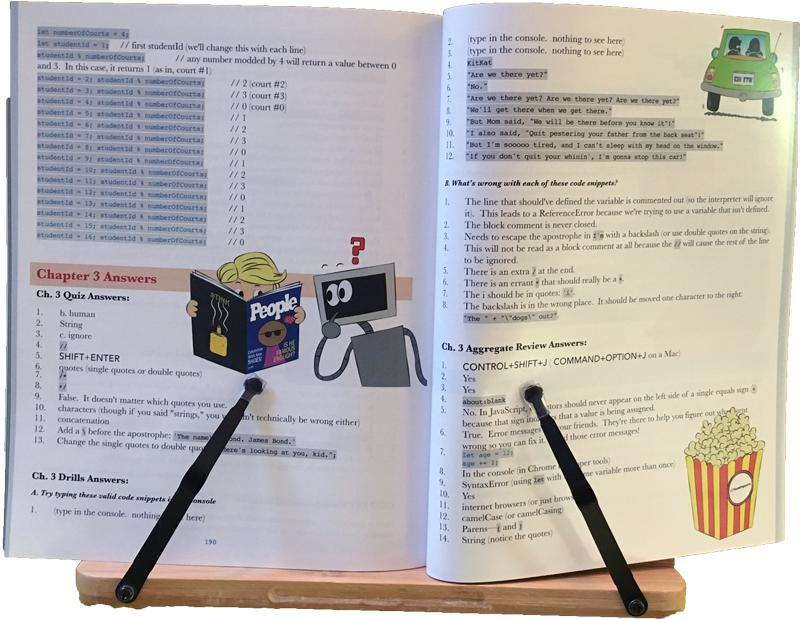 Every chapter concludes with so many review drills that kids shouldn’t feel left behind. There are more drills than many teens will need, but for those who require those extra reminders, it’s there again and again. Q. What about teens who need continual stimulation to stay focused? A. This is probably the most humor-infused textbook your child or teen will ever read in school. I love to make people laugh, and the book is full of humor to help keep any kid engaged. Just read through the provided Introduction (http://CodeForTeens.com/downloads/CodeForTeens-sample.pdf); you’ll see what I mean! Q. Is this a faith-based book? A. While this is not, strictly speaking, a faith-based book, there is no crude language, and it basically reflects traditional family values. In other words, while there are no specific messages about religion, politics, etc., I guarantee you will find nothing objectionable or controversial in the content of this book. Q. What about kids who space off as they read? A. One of my own kids fits this description, and I continually kept this on the forefront of my mind as I wrote the book (which, I might add, was effective in teaching him these concepts!). I include hands-on work to do on almost every page in order to keep the attention of any child or teen. A. Only $25 from any source (ordered online or purchased at a retailer). Q. Can I get help if I need it? A. You bet! Ask a question on our the Code for Teens Forum, and you’ll receive an answer from the author or another member of the Code for Teens community! A. The book is in-stock and available to order here on our website right now! You even get free shipping! In addition to our website, it will also be available to order online (Amazon.com, BarnesAndNoble.com, BooksAMillion.com, and more) and purchase at many national retail stores beginning July 3rd, 2018! 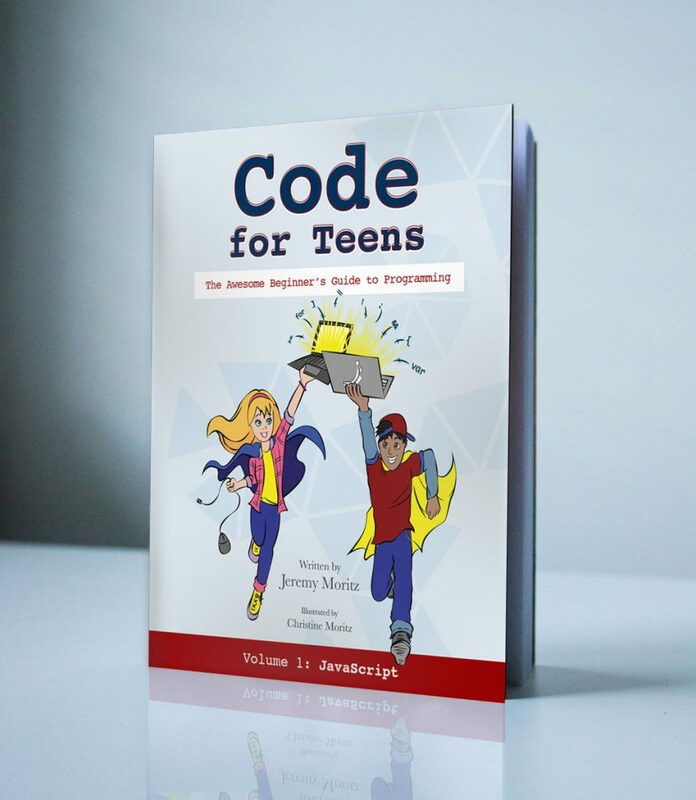 If you are interested in being notified as soon as the book is available for purchase (in April 2018), simply send an email to info@codeforteens.com and we will email you as soon as the book is available on Amazon! Order Your Copy of Code for Teens Now! Alternatively, you may order Code for Teens directly from the publisher! © 2018 Code for Teens. All Rights Reserved.